Called around a bit the other day. Lookin' like if I want one of these it's gonna be an on-line purchase w/o ever having even fondled one. Last year I found a good online deal on a new 210A Tgt and jumped on it sight unseen. Out of the box it was perfect. Trigger, fit/finish was excellent and the sights were dead-on. Even in my old hands and fuzzy eyes, I could see it was an extremely accurate pistol, well worth its' reputation and price. I have a Sig/German Mastershop X5L1 and the American 210 is every bit it's equal in performance. I'm looking forward to enjoying it, and wish I had more range time for both superb handguns. But I know if the X5L1 ever needs any work, it may be a major problem to get parts....which is why the 210 is now getting my range time. Too bad SIG has put the P210A in the back burner, because I don't see the Supertarget of the Carry version anywhere on the horizon. Oh, I've little doubt that, should the funds become available, I'll probably take the chance. 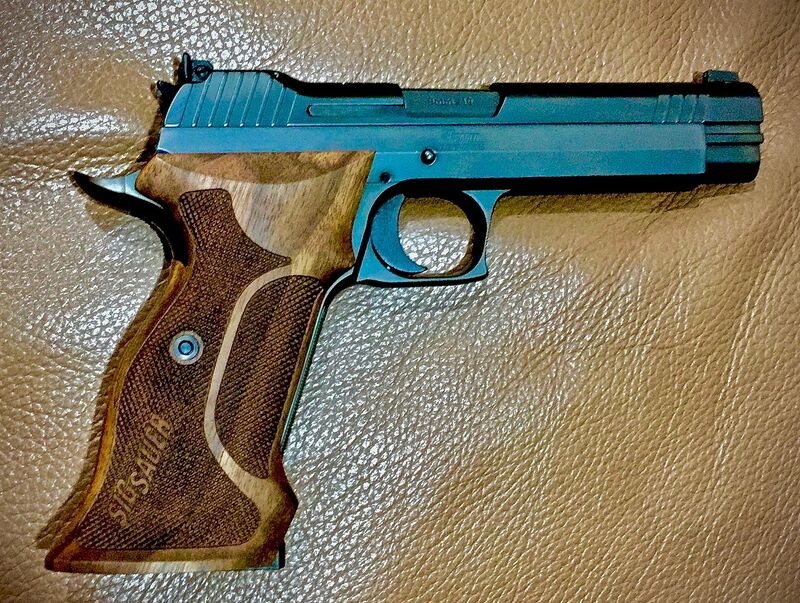 Other than a single SF member having a problem with the trigger bar on his, I have yet to have seen a single negative comment about the P210A other than the grips being a bit too big for some--and that would suit me well, as I have big hands . That’s my feeling too but I talked to a shop yesterday and he gave me hope. He said he sells every one he gets but it his words that was maybe four annually. ... I talked to a shop yesterday and he gave me hope. He said he sells every one he gets but it his words that was maybe four annually. That's my problem. As I noted, above: Called around the other day, looking for one. I'm not a "fondle it at the LGS and buy it on-line" guy. If I take your time to show it to me, odds are I'll buy it from you. If I see your price is too high, I won't even bother you in the first place. I don't have the money, yet. Don't even know for sure I will have. But all indications are that, when I do, and should I decide to pursue it, I'll have to buy on-line. Yeah I’m waiting for the standard to come out. I called Sig though and they said they are still planning on releasing 3 more versions. They could not confirm when though. ensigmatic, that's the way it was with me. W/O ever having had the opportunity to handle one, I bought a 210A online. The vast majority of positive owner reports are consistent with my own experience with the 210A. Precisely fitted,accurate and reliable, with a clean breaking ~3 1/2# trigger. 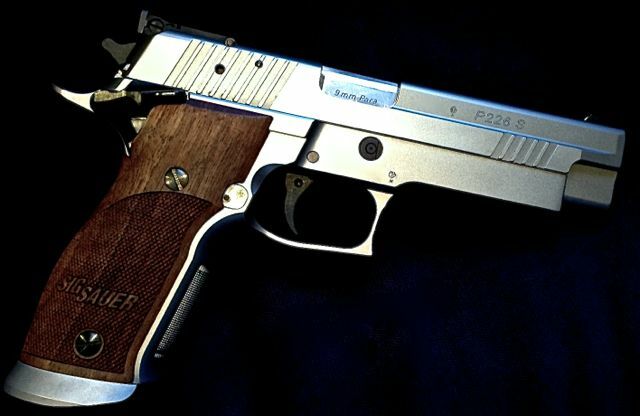 But nothing made by man is perfect, and a few 210A owners have experienced problems with their new guns. One presumes that, particularly for such an expensive firearm, Sig addressed them promptly and competently? ensigmatic, yes, SIG promptly corrected the issues. I’m tickled with mine, bought without ever handling one. As a gunsmith I’ve only run across a few guns that I wouldn’t change a thing about, but this is one. Other than I’d like a small thumb rest on the grip? But I see why they made it ambidextrous. I’ll put the thumb rest on mine. I looked around for a couple weeks and finally saw tombstone tactical had some. Called and sure enough he had 4 of em 1449 shipped. Had never done bus with them, but they shipped quickly fedex. Can’t imagine anyone being disappointed with one of these. Worked up a light load mine likes and having a blast with it. Will shoot a bullseye match in 10 days with it. Go for it. If you shop around online, you should be able to get it for less than $1550. That's at $1,449 + 6% Michigan sales tax + $25 transfer fee at my end. $1,560.94, to be exact.